Full of period details, Lawrence's latest series outing (after Death of an Alchemist) captures Tudor London in all its colorful, if noisome, splendor. A solid choice for devotees of Kathy Lynn Emerson's "Lady Appleton" series or Karen Harper's Elizabethan mysteries. With a ripped-from-the-headlines plot and a twist that adds a real kick, this gritty mystery brings to mind the crime fiction of Kathryn Casey and Alanna Martin. 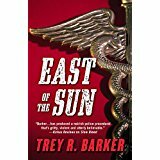 This well-crafted police procedural is recommended for admirers of Robin Burcell or Alafair Burke. 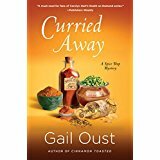 Blending just the right ingredients of humor, mystery, and action, Oust bakes up a delightful and tasty Southern cozy in her fourth series outing (after Cinnamon Toasted). Paige Shelton and G.A. McKevett fans will eat this one up. 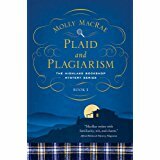 Full of fascinating local characters and Highland color, this series debut will charm everyone who loves Scotland. MacRae also writes the "Haunted Yarn Shop" series and brings the same cozy sensibilities here. Recommend for enthusiasts of Ann Ripley or Dicey Deere.